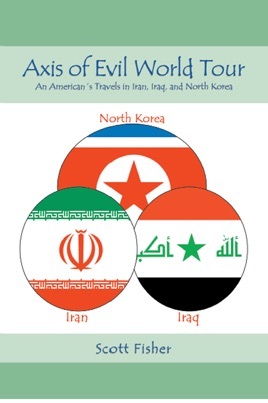 Axis of Evil World Tour goes beyond the coverage found in much of the media to bring a boots-on-the-ground look at three of the most enigmatic, difficult-to-enter countries on the planet—Iran, Iraq, and North Korea. Head to AxisofEvilTour.com for photos, book excerpts, and video clips. Scott Fisher has been living and traveling in Asia and the Middle East for the better part of the past 15 years. During that time he’s almost gotten blown up by Khmer Rouge landmines in Cambodia, shot by soldiers in Vietnam and South Korea, felled by a jungle fever in Borneo, stranded in Siberia, arrested in Tehran, and mortared in Baghdad. Over the same period he’s been a grad student in Korea, worked as an Asia specialist for the Joint Chiefs of Staff at the Pentagon, served with the U.S. Department of Defense in Baghdad, and currently makes his living as a writer, business owner, and English professor in Seoul, South Korea. Fascinating armchair travel book - great pictures and anecdotes! It's fascinating to imagine an American citizen visiting North Korea and Iran. Exciting read and excellent details of interactions with local people! 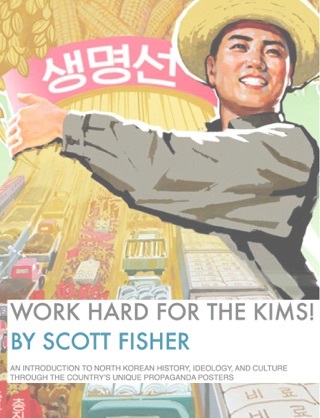 I look forward to more books from Scott Fisher - a memoir about years of living in Seoul would be great! Btw, The e-book price is much lower than the printed book price. I really liked the chapter on Scott's visit to N. Korea. I liked his humor throughout the book yet he remained respectful.